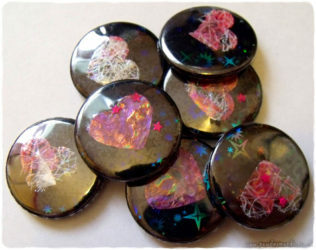 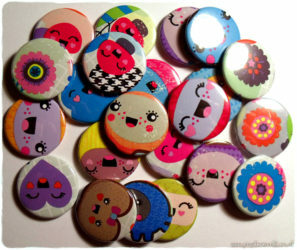 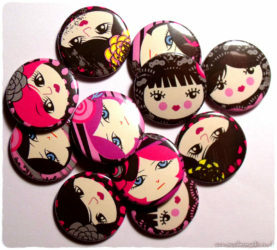 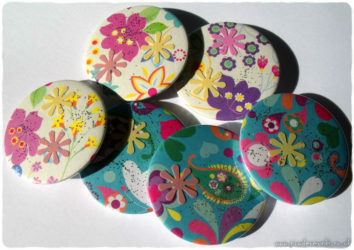 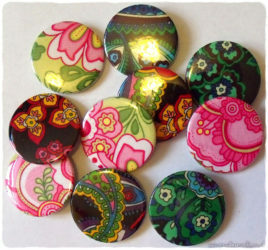 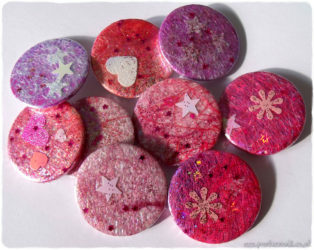 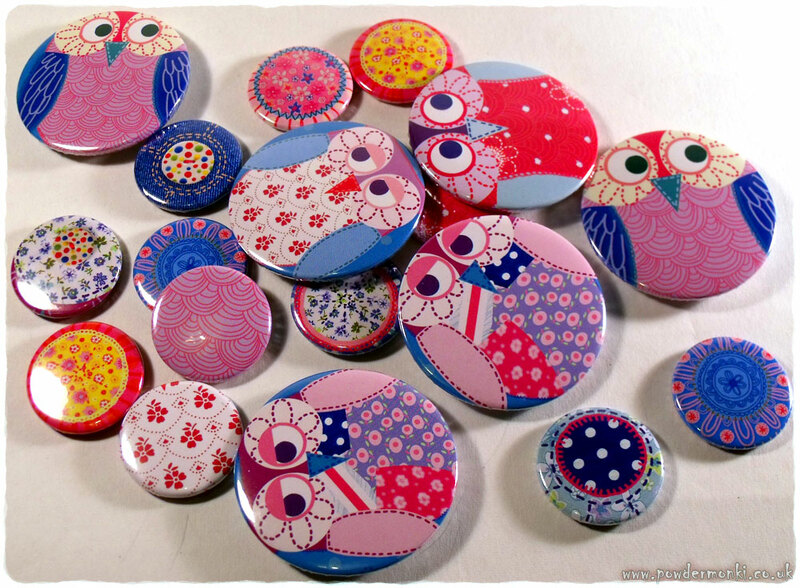 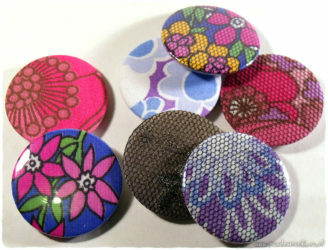 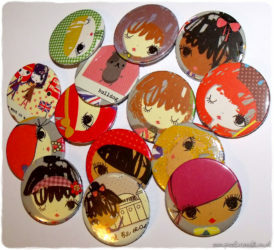 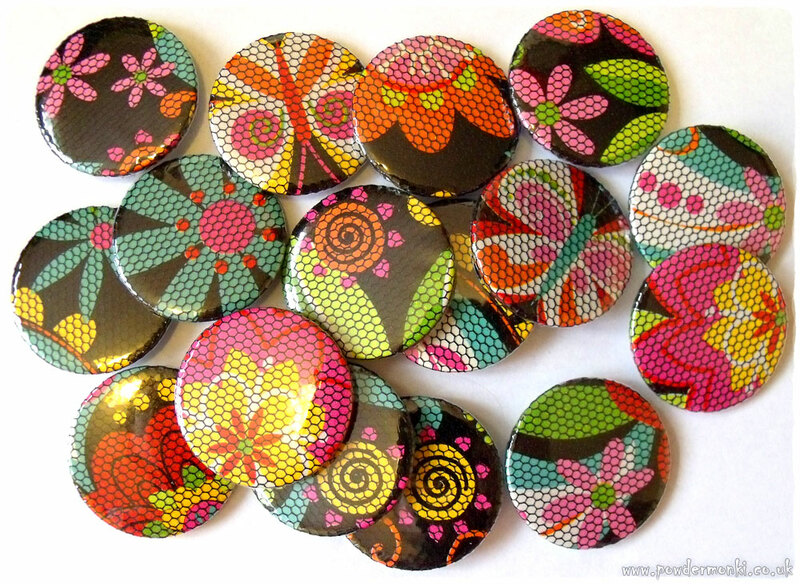 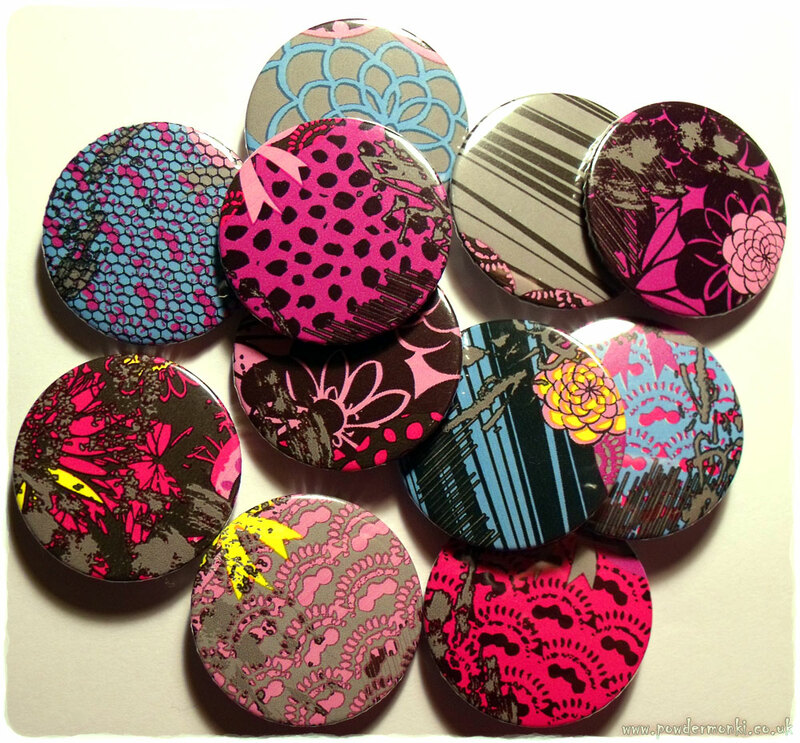 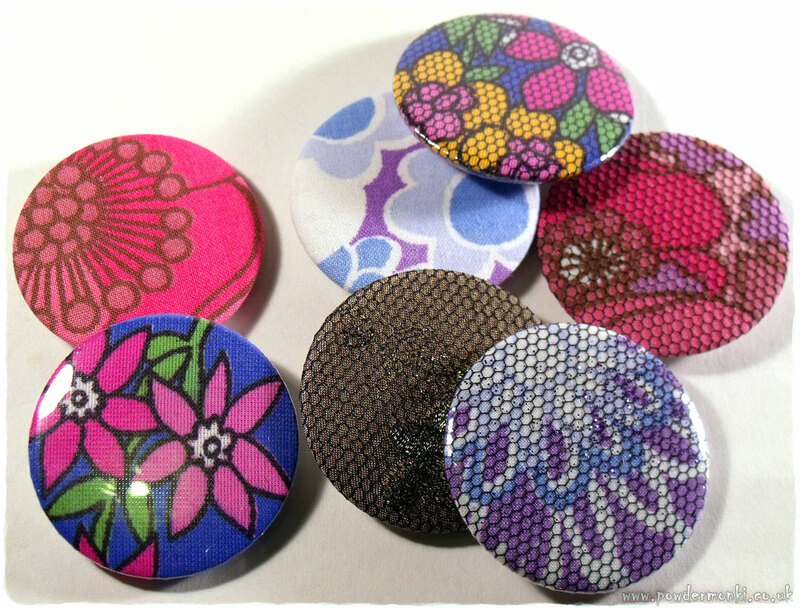 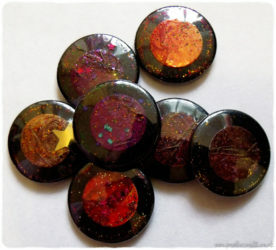 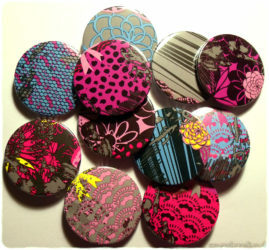 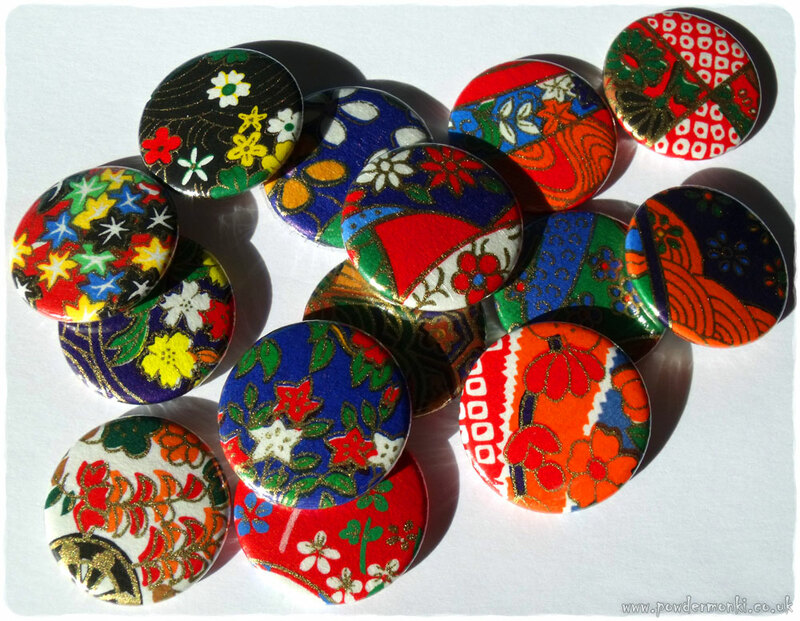 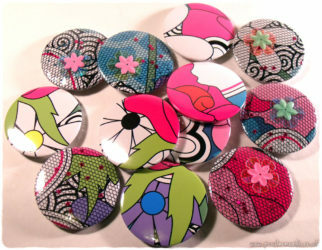 These are some of the sparkly, floral and cute badges I have made. 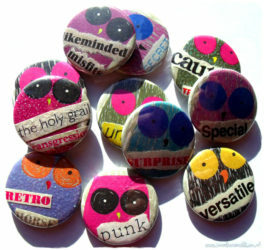 The badges on the left were made using owl wrapping paper, with words ripped from magazines layered on the top. 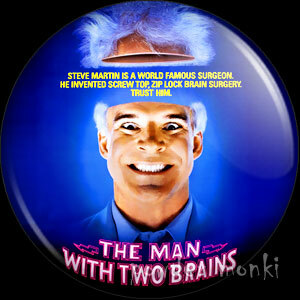 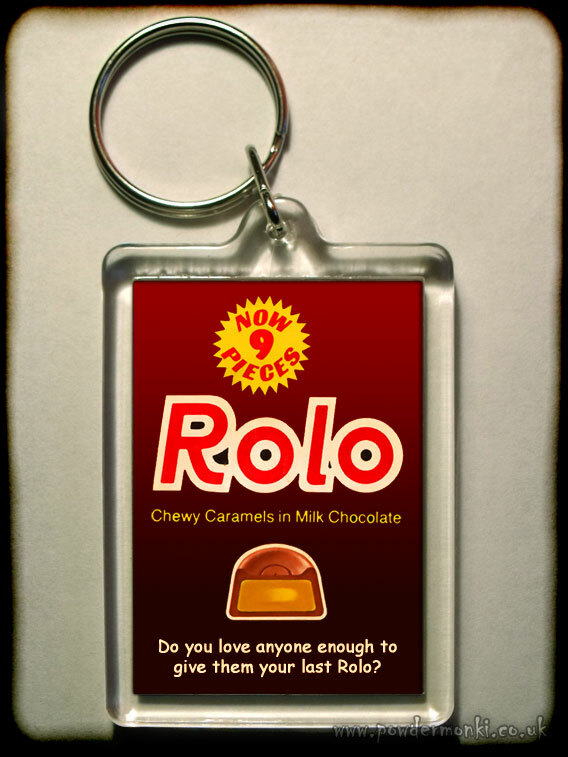 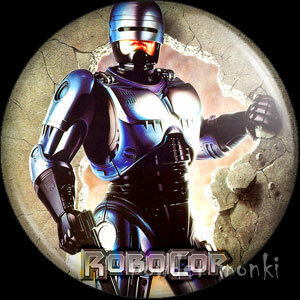 The images used in the badges on the right are from magazines, with various words layered on top to for sentences. 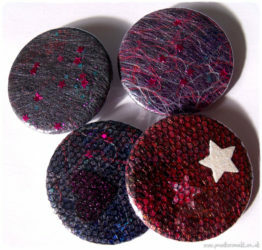 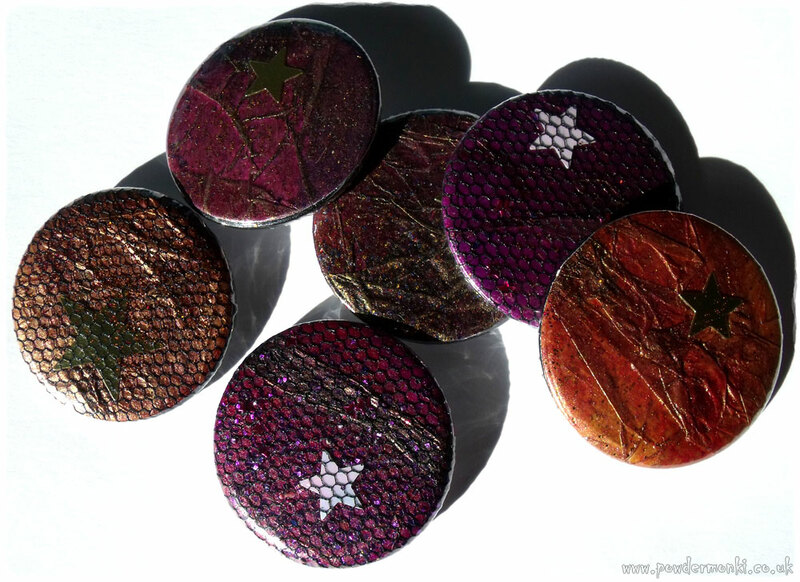 These badges were made using my own handmade paper or Angelina fibre, with sequins, glitter and netting added. 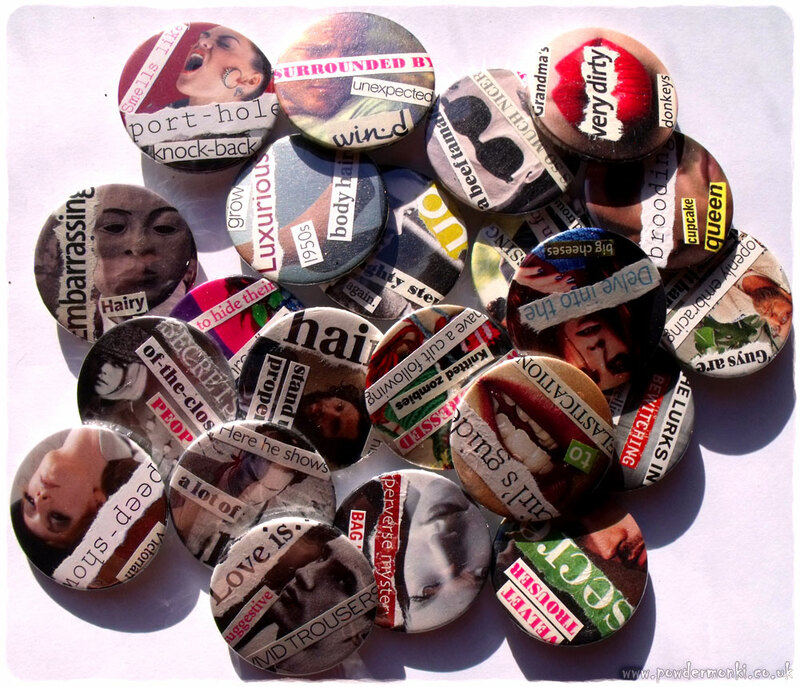 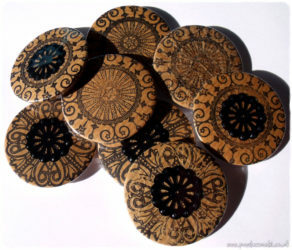 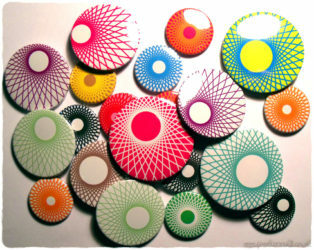 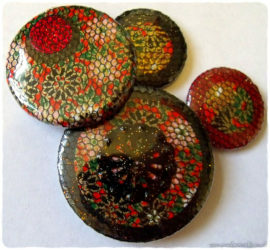 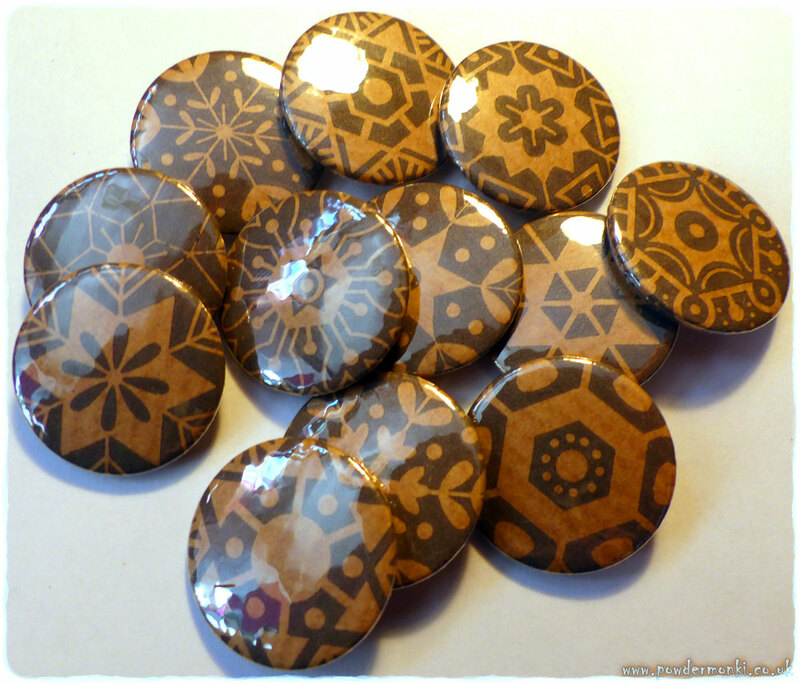 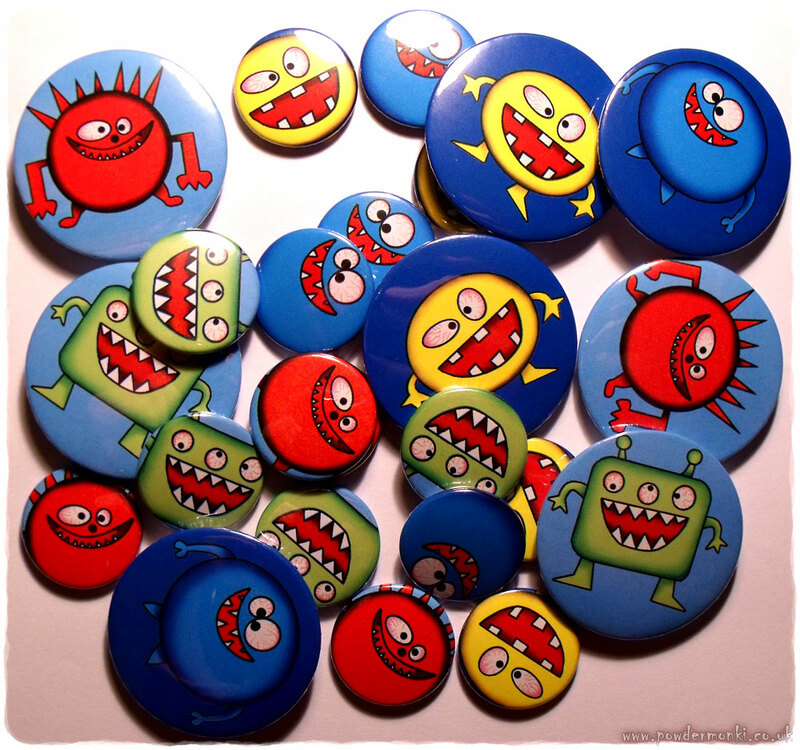 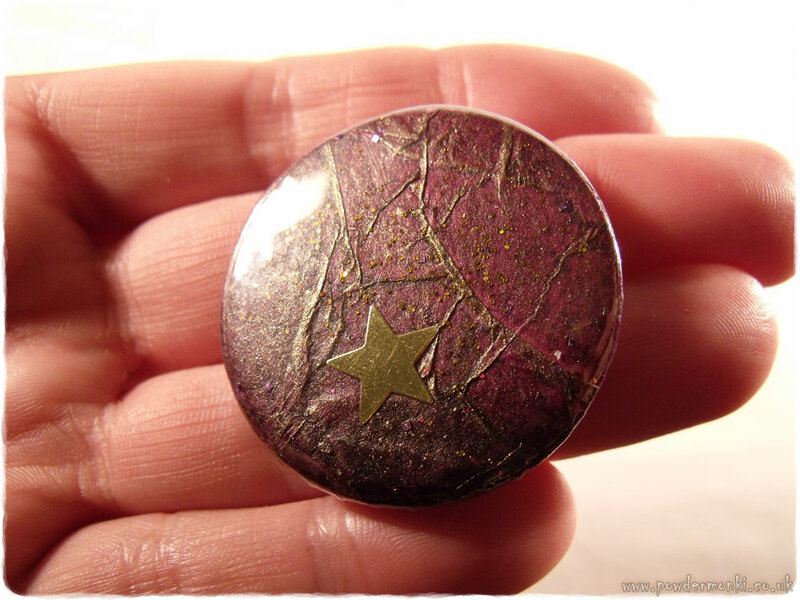 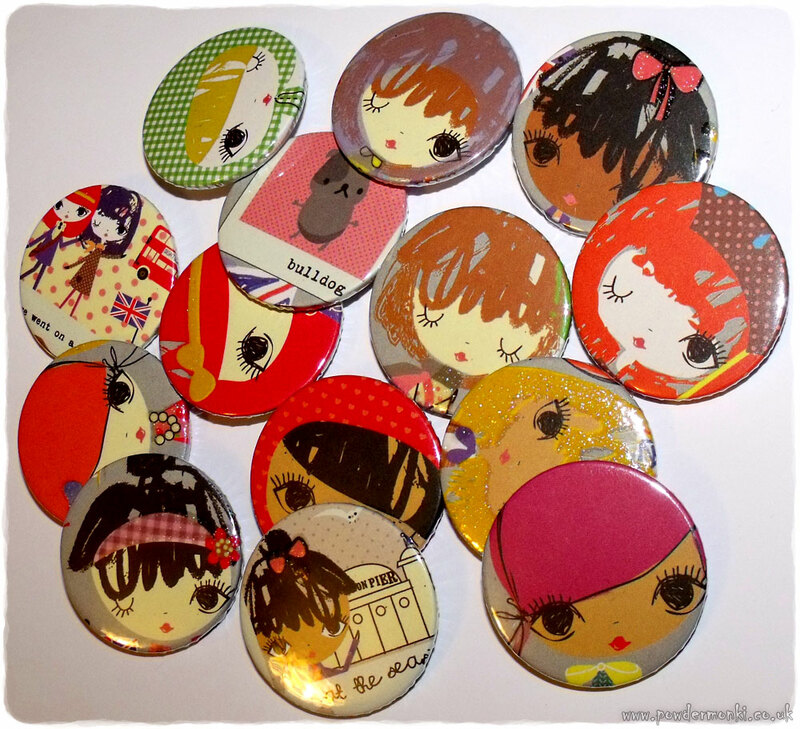 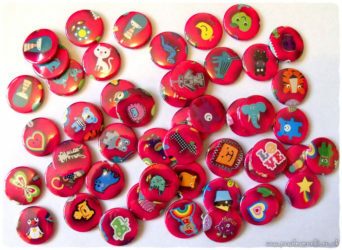 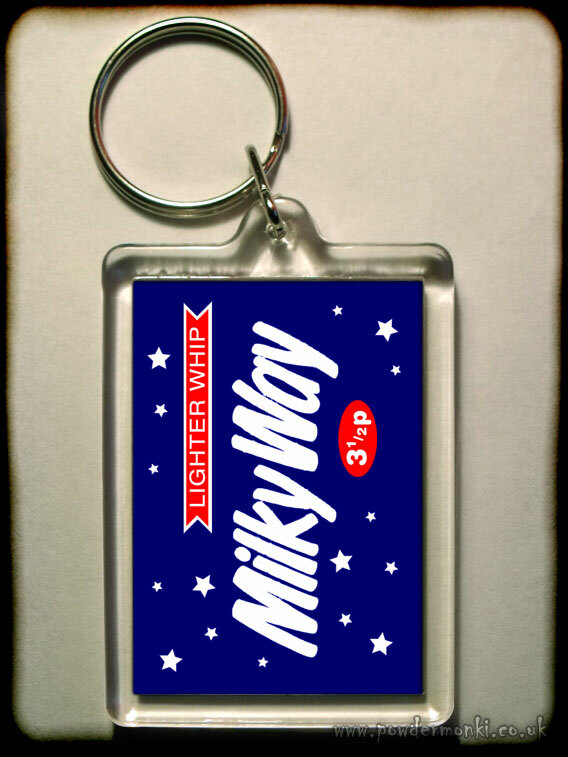 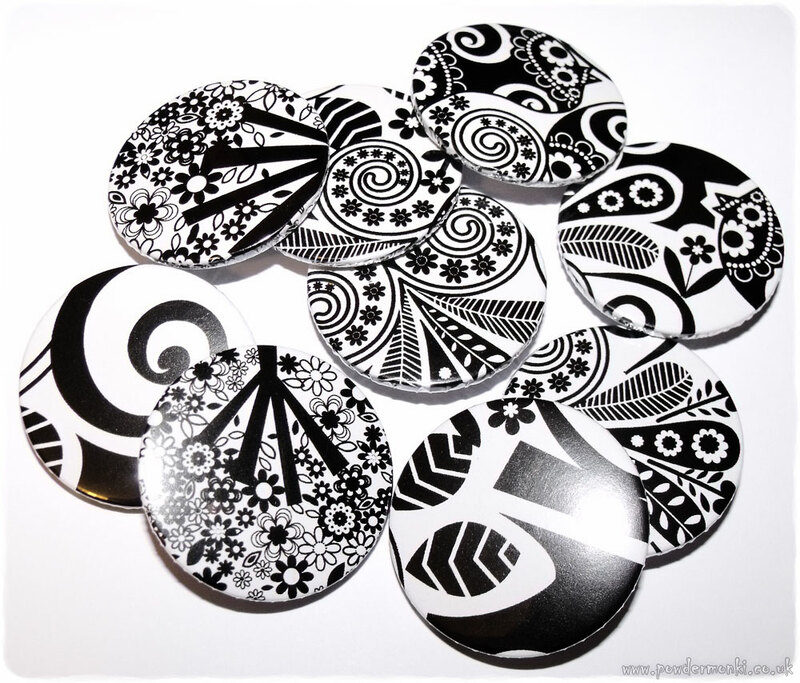 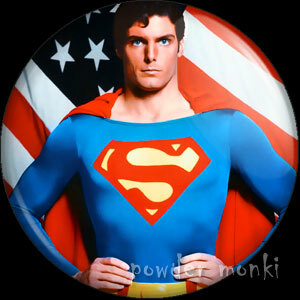 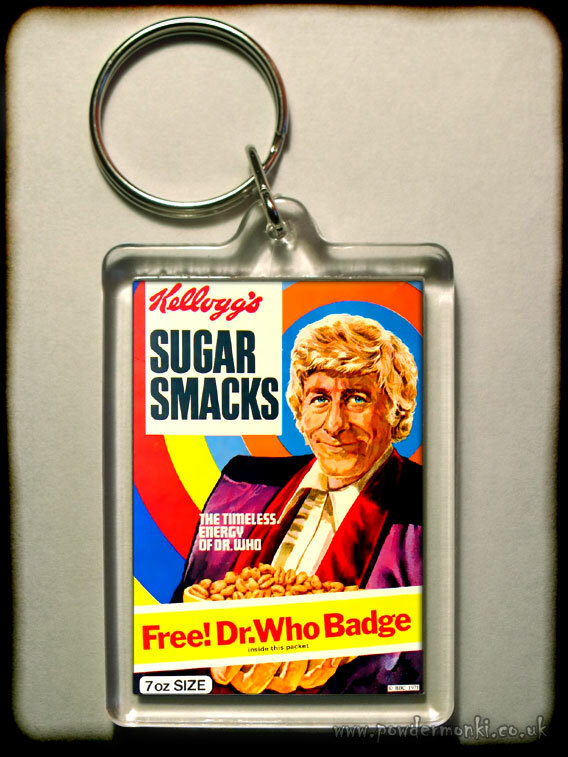 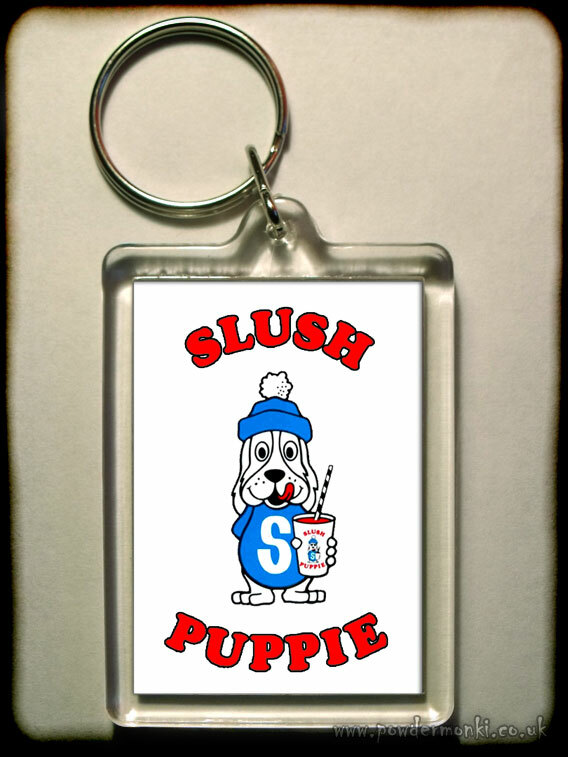 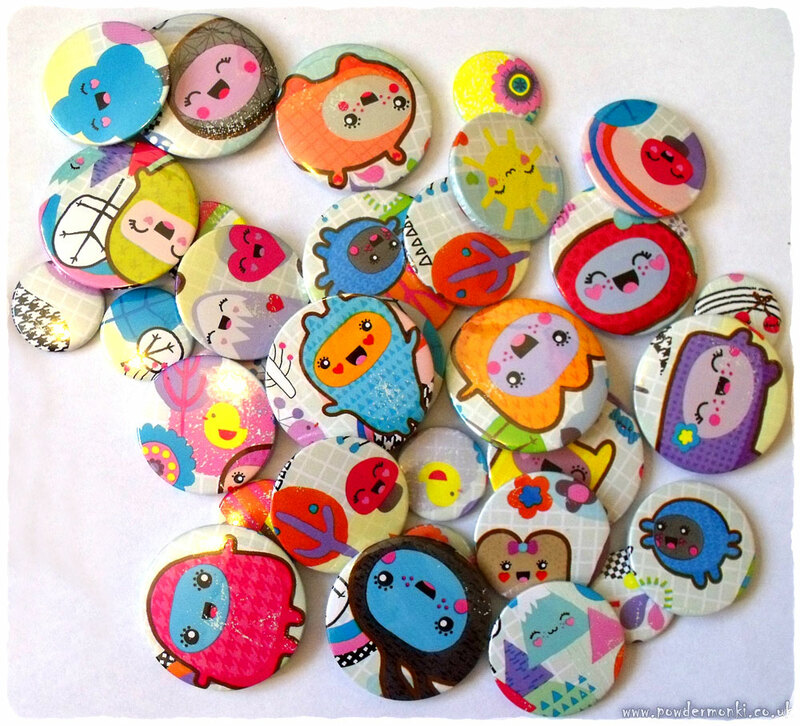 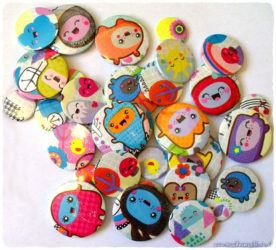 These badges were made using a wide variety of materials, layered together. 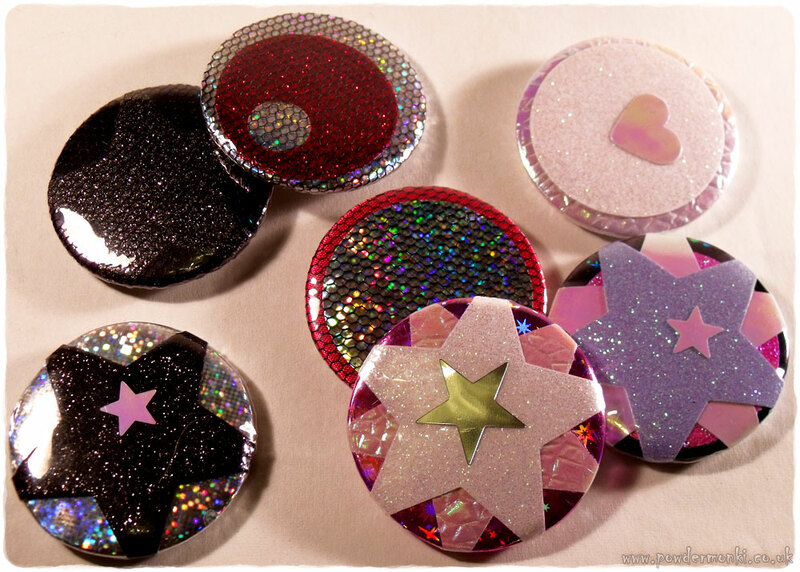 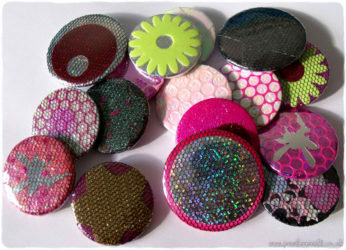 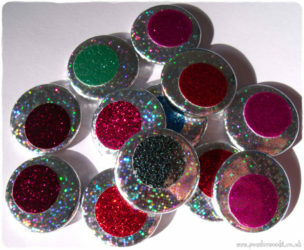 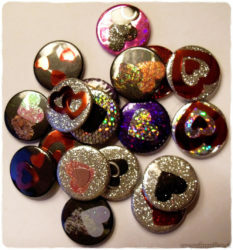 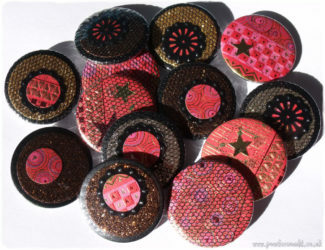 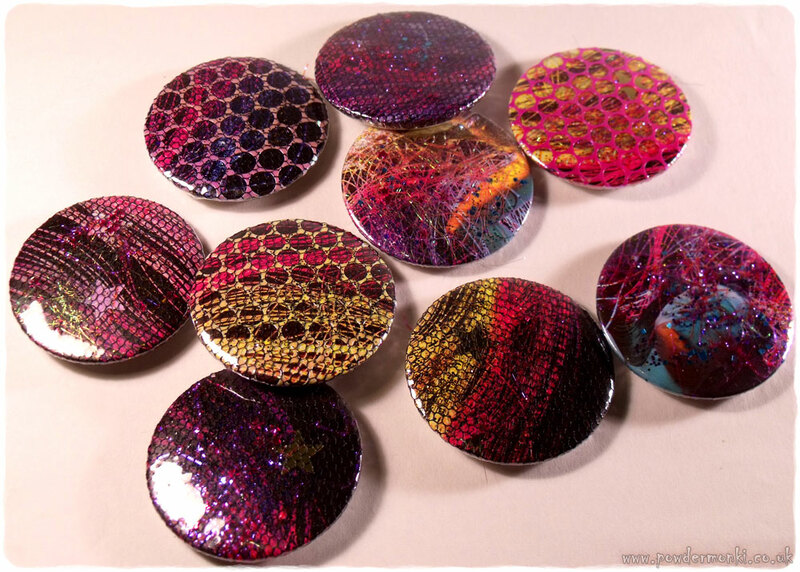 These badges were made using wrapping paper, with sequins, glitter and netting added. These area all fabric (rather than paper) badges, and some I left open with no plastic cover. The badges on the left were made from glittery paper, with bat and spider confetti and netting on top. 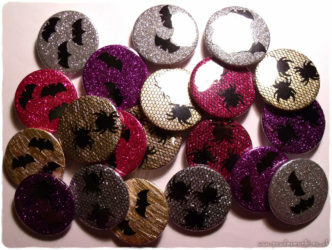 The right badges have two layers of paper (glitter paper underneath the loose-fibre handmade neon paper), with spiders and bats on top. 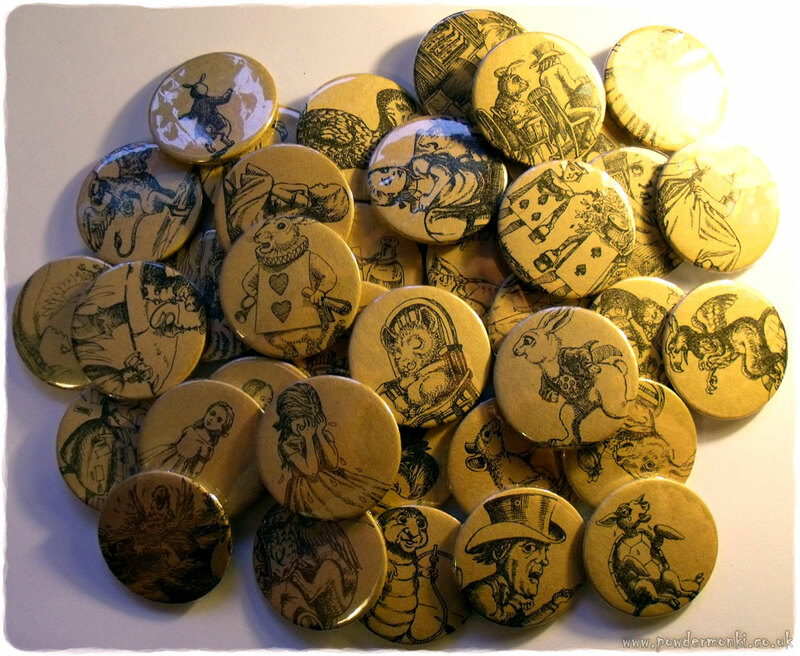 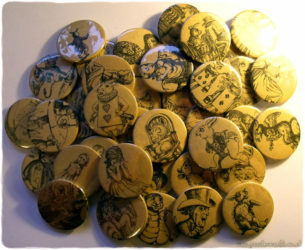 These badges were made from an old notebook with Alice In Wonderland illustrations in the corners. These badges were all made from wrapping paper.